Babe Ruth routinely signed many baseballs and photos for children in the 30's and 40's. Today, their values are in the thousands of dollars. These treasures turn up in grandpa's attic along with baseball cards and other classic baseball memorabilia. Bring your collectables in for a free appraisal and find out if you have a treasure in your attic. We offer a wide variety of items sure to please even the most picky collector! 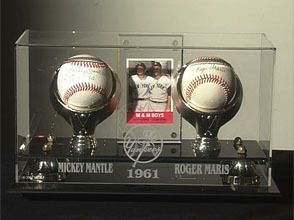 Most items are autographed and come with a Certificate of Authenticity. 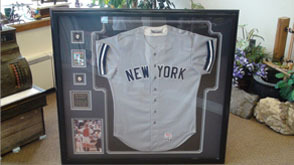 Many items such as jerseys are professionally framed and matted and definite attention grabbers. Would look great hung in your home or office! You won’t find a better selection and the prices most definitely CAN’T BE BEAT, cost a fraction of what you would pay at many other retail stores.